Data used to develop and confirm models suffer from several shortcomings: the total data is too limited, the data are non-stationary, and the data represent nonlinear processes. The Hilbert-Huang transform (HHT) is a relatively new method that has grown into a robust tool for data analysis and is ready for a wide variety of applications. This text presents the first thorough presentation of the formulation and application of the Hilbert-Huang Transform (HHT) in engineering. After an introduction and overview of recent advances, thirty leading international experts explore the use of the HHT in areas such as oceanography, nonlinear soil amplification, and non-stationary random processes. One chapter offers a comparative analysis between HHT wavelet and Fourier transforms, and another looks at the HHT applied to molecular dynamic simulations. The final chapter provides perspectives on the theory and practice of HHT and reviews applications in disciplines ranging from biomedical, chemical, and financial engineering to meteorology and seismology. 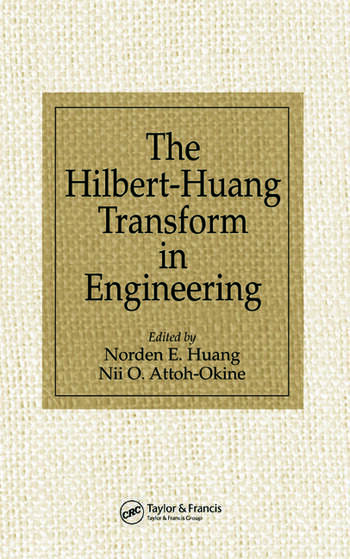 The Hilbert-Huang Transform in Engineering features a variety of modern topics, and the examples presented include wide-ranging, real-life engineering problems. While the development of the HHT is not yet complete, this book clearly demonstrates the power and utility of the method and will undoubtedly stimulate further interest, theoretical advances, and innovative applications. "This is a book that exclusively deals with the HHT. Its main purpose is to provide the reader with an overview of the HHT without pursuing thorough mathematical details. Further, it attempts to demonstrate the versatility of the method by including numerous applications of the HHT in various engineering fields including ocean, environmental, seismic, and structural engineering. 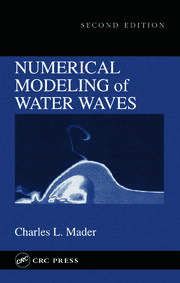 The book is organized into 13 chapters, each one written by different authors in a strict technical paper format … Overall, the book provides a balanced presentation of the HHT from various points of view depending on the application of interest and demonstrates the versatility and applicability of this numerical technique in various technical fields. It can be a valuable reference text for researchers and practitioners in the plethora of engineering fields that deal with the processing of nonstationary data sets and focus on extracting physically meaningful information while capturing the evolution of the corresponding processes in time or space."